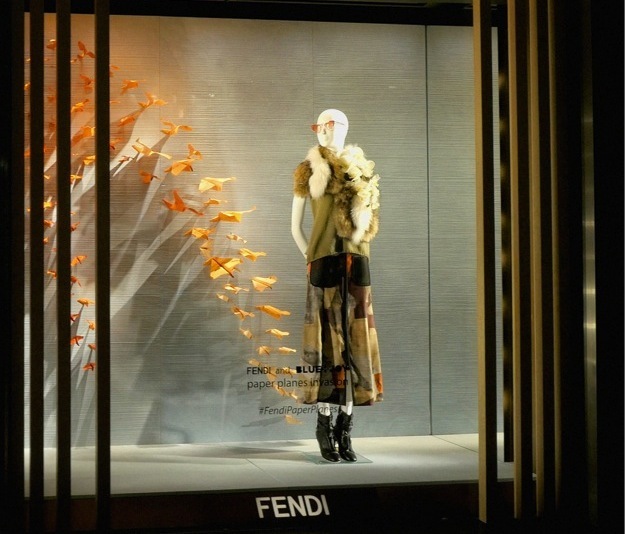 FENDI is pleased to announce a collaboration with Berlin based Italian art duo Fabio La Fauci and Daniele Sigalot for the design of its upcoming windows in selected stores worldwide from September 2014 featuring Blue and Joy. 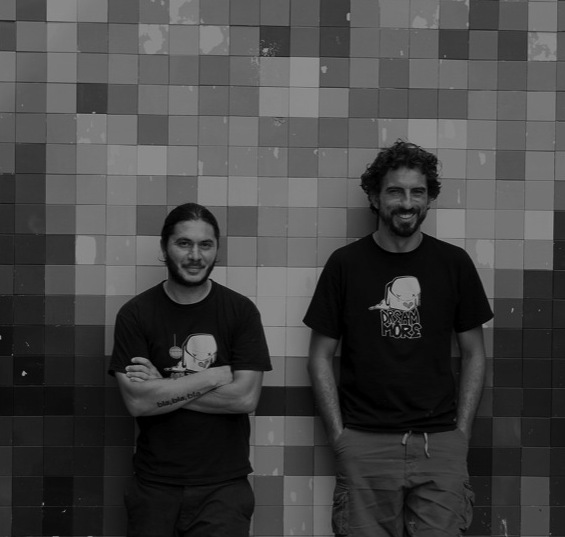 Fabio and Daniele are two artists who work together as a collaborative duo called Blue and Joy since 2005. This work sums up in one single piece the entire collaboration between FENDI and Blue and Joy that saw their paper planes, who were already exhibited in the Triennale Museum in Milan and in Palazzo Reale in Naples, reaching each possible corner of the globe.